How do we respond to the wicked problem of climate change? "Climate change cuts across boundaries, both disciplinary and national"
The 1965 musical The Sound of Music by Rodgers and Hammerstein gave us some memorable songs and moments that have long entered the pantheon of pop culture. We can hardly trip through a field of daisies without "The Hills Are Alive" popping into our heads. While the nuns finally figured out a way to solve a problem like Maria (spoiler alert: she was sent away from the nunnery), we wonder would they have had any advice for us on solving "wicked" problems? Of course, the term "wicked problem" didn’t exist in 1965. It came into usage in social planning in the late 1960s where it was used to describe problems characterised by uncertainty, indeterminacy, value conflicts, unexpected outcomes, and lack of single solutions. Climate change has been called a wicked problem by behavioural economists and social scientists. It is scientifically complex and comes with deep uncertainties about the future. It cuts across boundaries, both disciplinary and national. Its worst effects will occur in the future, although we are already seeing some impacts. Action on climate change is influenced by value systems, and requires large-scale, systemic changes to society. There is no technological "silver bullet" or single solution. From RTÉ Nine News, David Attenborough tells world leaders at the COP24 UN climate conference in Poland that climate change is "our greatest threat in thousands of years"
More recently, climate change has been called "super wicked". As time is running out to solve the problem, those who cause the problem also seek to provide a solution and the central authority needed to address it is weak. The landmark Paris Agreement as a whole is not legally binding and relies on a review process designed to pressure nations into compliance. What does the formulation of climate change as a super-wicked problem mean for science and universities? How well are universities and research organisations ready to respond to these types of problems? One of the most influential thinkers on the philosophy of science of the 20th century, Karl Popper, remarked that "we are not students of some subject matter, we are students of problems. And problems may cut across the borders of any subject matter or discipline". The wicked nature of climate change in particular, and sustainability in general, presents a challenge for a university research system which is organised along the lines of traditional disciplines and knowledge. This is because the challenges of sustainability transcend sectors, boundaries, and disciplines. The organisation of academic institutions into sophisticated academic disciplines system has led to remarkable scientific, technical, cultural, and societal progress. It works exceptionally well for problems that are compartmentalised. However, as both depth and breadth are important for the progression of knowledge, the increasing compartmentalisation of science has become an obstacle to the production of robust knowledge in certain situations. Mainstream scientific methodologies can be poorly equipped to deal with complex sustainability problems and in providing answers to problems that are systemic, interdependent, multi-scale (temporal and spatial), and multi-faceted (e.g. economic, political and environmental facets). The advances needed to address wicked problems of climate change and sustainability require interdisciplinary research which synthesises knowledge across disciplines. Steering society towards a more sustainable path will also require a more transdisciplinary research approach where academics collaborate with practitioners and others outside of academia along with society at large to build legitimacy for proposed transition pathways. A number of universities have established cross-cutting interdisciplinary institutes such as the Environmental Research Institute at UCC which endeavour to bring together research teams drawn from different disciplines and professions to bring a more nuanced approach to sustainability challenges but these are the exception rather than the norm. If universities are to provide the usable knowledge required to address sustainability challenges, they need to harness and synthesise knowledge acquired in the separate disciplines of sociology, social sciences, biology, geography, chemistry, economics, environmental science, law, engineering, political science and psychology to provide robust solutions to practical sustainability problems. The League of European Research Universities is an association of some of the most renowned research universities in Europe. It has called for increasing specialisation to be balanced by interdisciplinary research which aims to integrate insights from different disciplines, and have advocated for interdisciplinary structures within universities that respond to long-term challenges such as migration, health, sustainability, the environment. Albert Einstein is reputed to have remarked that "we cannot solve our problems with the same thinking that created them". 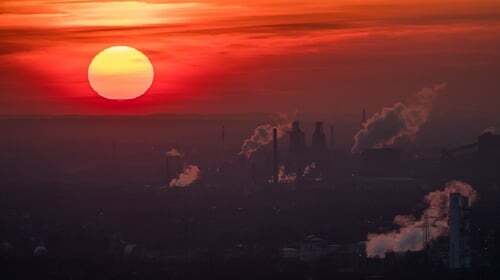 Solving the problems of climate change and sustainability, and achieving the "rapid and far-reaching transitions" called for by the IPCC, may involve a rethink about how we approach complex problems as well as how we view energy, food, transport and consumption. Unfortunately, unlike the nuns in the Sound of Music, we don’t have the luxury of sending the problem away.